Key Difference: Wolf is a carnivorous mammal belonging to the canine family. They are known for their howl. On the other hand, werewolf is a fictitious humanoid character who can transform into a wolf at night. A wolf is a carnivorous animal belonging to the family Canidae. Scientific name of wolf is Canis Lupus. It is the largest in the dog family. Wolves tend to be similar to dogs, jackals and dingoes in many aspects. Wolves are often known by their howling sound which can be heard from great distances. Wolves prefer to live and hunt in packs. They are known for their hunting skills, and can also run at speed of 65 km/h during a chase. They are able to tolerate cold temperatures due to two layers of fur known as an undercoat and a top coat. This fur gets flattened during hot temperatures. Their habitat ranges from Alaska to the highlands of Ethiopia. On the other hand, a werewolf is a fictitious character which is human but has the ability to transform himself into a wolf or a cross between wolf and human. These creatures have found significant places in mythological stories and folk stories. These humanoid creatures have been always known for their great strengths and endurance. According to some of the ancient stories based on these creatures, they can be recognized by various signs in their human form. Their palms bear a growth of stiff hair. They also tend to have an increased length of the index finger. Small pointed ears and protruding teeth have also been indicated as the sign of a werewolf. One can be amazed by knowing that there are some cases in the history where trials of confessed or accused werewolves were held. Most of these trials are taken as an explanation to serial killings. Believers of Christianity often linked these characters with the witchcraft and the devil. 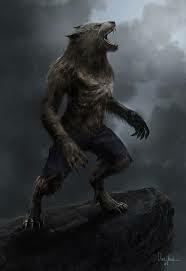 This creature is often narrated as the one who can usually transform into the wolf only on a full moon night. Therefore, wolf and werewolf are different from each other. Wolf is a real carnivorous animal, whereas werewolf is a humanoid character which is found in legends or folklores. Werewolves are always potrayed as creatures craving for human blood and flesh. Another belief associated with them is that a person bitten by a werewolf also tends to become a werewolf. Old English wulf, of Germanic origin; related to Dutch wolf and German Wolf, from an Indo-European root shared by Latin lupus and Greek lukos. From late Old English werewulf "person with the power to turn into a wolf"
They are considered to be eating human flesh and blood in their wolf like form. 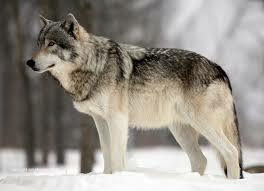 Ancestors of wolf are believed to be developed in the Paleocene, about sixty million years ago.